Throughout Utah’s forests, many plants and animals take advantage of other organisms to survive. Whether it is a caterpillar eating a tree leaf, mistletoe growing on a juniper branch, or an owl catching a mouse to eat, one organism being consumed by another is almost inevitable. However, some organisms may inadvertently help others not only survive, but also increase their range. Many conifer trees, including pines, spruces, and firs, depend on fungi that live in and around their roots. The fine fibers of the fungi act as root hairs, helping trees better absorb water and nutrients from the soil. Some fungi also have symbiotic relationships with bacteria that are able to take Nitrogen from the air and turn it into ammonia, which is one of the forms of nitrogen that helps plants grow. Conifer trees reproduce via seeds from their cones, and fungi produce mushrooms to release spores. 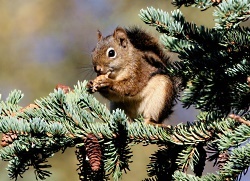 Squirrels happen to find conifer seeds and mushrooms particularly tasty, and will readily eat them. 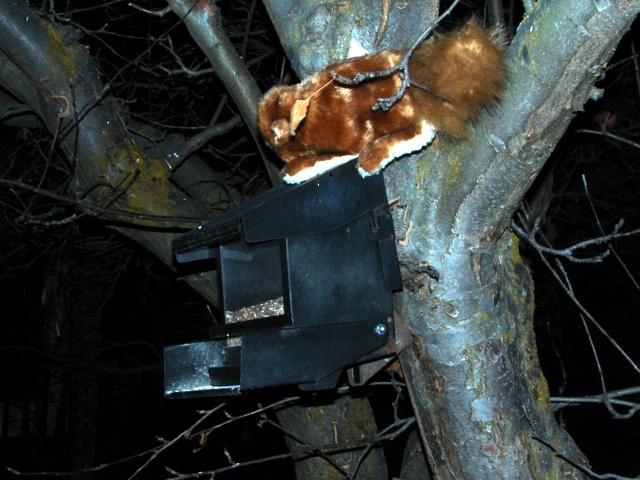 As squirrels are known to do, extra food is cached away for winter, and some seeds and mushrooms are inevitably forgotten. This helps disperse seeds and spores, aiding in population growth. So, the fungus helps the tree grow, the tree and fungus provide food for the squirrel, and the squirrel helps the tree and fungus spread to new areas. The Clark’s nutcracker, a bird closely related to the crow and raven, is also particularly important in aiding in the spread of pine trees. Living at higher elevations, nutcrackers must store food for the long winters on Utah’s mountains. A nutcracker’s stout beak is used to crack open pine cones to retrieve the seeds inside. It stores seeds in a pouch under its tongue, and flies away to cache the seeds for winter. 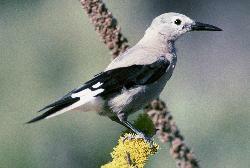 Each Clark’s nutcracker stores tens of thousands of seeds every year. While many seed caches are found and eaten, some are forgotten and germinate into young saplings. 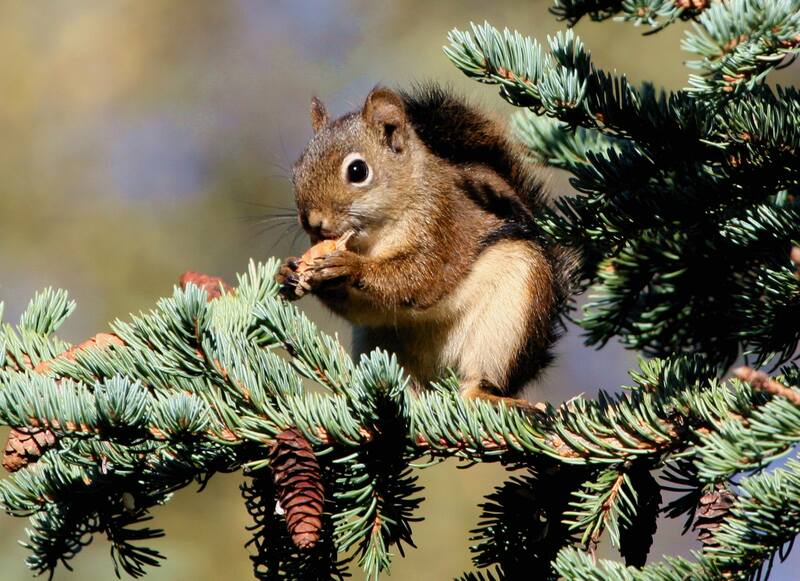 So, while squirrels and nutcrackers are ultimately just looking for a good meal, both play a crucial role in establishing and maintaining healthy forest ecosystems in Utah’s mountains. For Wild About Utah, I’m Mark Larese-Casanova. Larese-Casanova, M. Utah Master Naturalist Mountains Wildlife Field Guide. Utah State University Extension. 2012. Maser, C., and Z. Maser. 1988. Interactions among squirrels, micorrhizal fungi, and coniferous forests in Oregon. The Great Basin Naturalist 48(3):358-369. Many of our songbirds have flown south to spend the winter. I confess that on frigid days I envy them. Like you and I, though, many birds remain behind. They fluff their feathers to trap body heat and spend these short days in a perpetual hunt for food to keep them warm. You can help their hungry quest by feeding our diverse songbirds using a convenient birdfeeder. For loose seed, I use a hopper feeder. The hopper resembles a tiny roofed house which is filled with seed that is dispensed from a trough at its base. Another common style of seed feeder is a broad tray. It will need a roof and drain holes to keep the seed dry and free of mold. Our feeder is above a stone walkway for birds like juncos that prefer seed spilled on the ground. A ring of upturned tomato cages around this area excludes cats, and the season’s discarded Christmas tree will provide cover for the birds. Chickadees and finches prefer black oil sunflower seed, rich in fats and proteins, with a thin shell. If you buy seed mixes, juncos and sparrows will take white millet, but milo or so-called red millet is a filler. Doves and jays like cracked corn. Goldfinches and pine siskins flock to Niger thistle seed dispensed from a fine mesh sock that you can buy where you purchase the seed. 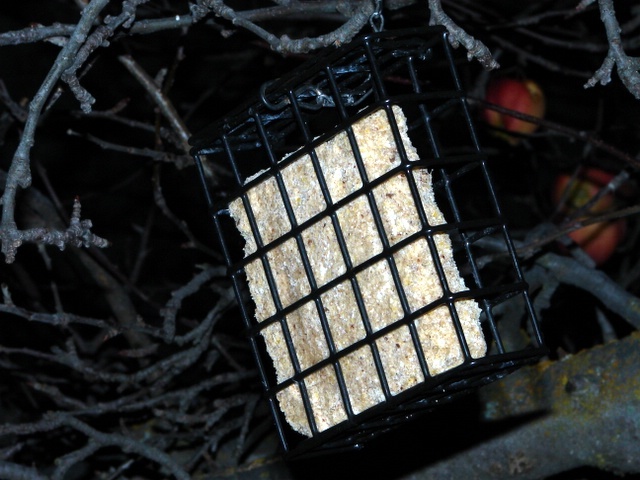 Woodpeckers and nuthatches appreciate a suet feeder, which is a wire mesh cage containing a block of seed-filled suet. Expect magpies to hammer chunks off the suet block occasionally. Don’t forget water, a scarce commodity for birds in winter. Plug in models remain ice free with scant power use. Nothing quite cheers a wintry day for me like colorful songbirds noisily bustling at our feeders. 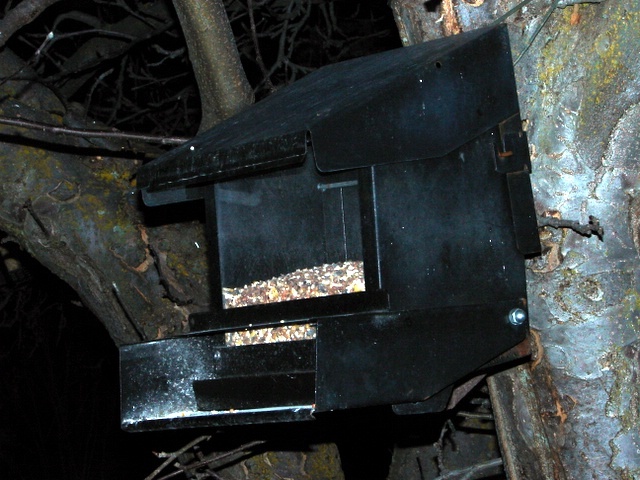 If you do put up feeders, consider joining in Project Feeder Watch. You can find details on our Wild About Utah website.